Two weeks ago saw thousands of homebrewers descend on Seattle, WA for the 2012 National Homebrewers Conference. The conference, among many things, offers seminars, demonstrations, and camaraderie with amateur brewers from all over the country and beyond. 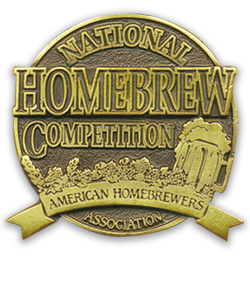 But one of the center points of the event is the culmination of the National Homebrew Competition. The final round of the comp is held during the Conference with the venerated awards given at the banquet on the last night. We've explored the popularity of the different style entries in prior years (2011, 2010). With the 2012 HNC awards in the books, it was worthwhile to revisit the results and see if the preferred beer style trends continue to be the same or if there is a shift in brewers' preferences. For this analysis, I’m only looking at the beer categories themselves (my apologies to the cider and mead makers out there). To normalize the data, all categories are given as the percentage of the total entry pool that they represent. From this year's NHC competition, the most popular and the least popular styles are as follows (with the full dataset given below). The top five beer categories have been the same five styles for the past 5 years with the only change being in the ordering. Belgian & French Ales flip-flopped with Belgian Strong Ales, otherwise the top 5 style rankings remained the same. As an overall percentage, the number of entries in the top 5 categories increased slightly from 2012 (37.5% vs. 35.7%) representing a slight strengthening in their overall popularity. On the other side of the spectrum, lagers still continue to take a beating. Of the five lager beer style categories, three of them are in the bottom five. Light Lagers and Pilsners experienced a surge this year, both jumping up two slots (to #15 and #17 respectively), while Bock beers tumbled hard by 5 slots down to #19. As has been in the past, there are more than three times as many beers entered in the top five categories as compared to the bottom five categories. Looking at trends across the past five years (2008 – 2012), popularity has been surging or failing for some categories as the style gain favor or loses it. Below are the top movers in the positive and negative direction across thefive year span. The growing popularity of barrel-aged beers and sour beers have definitely played a factor in the rise in popularity of Categories 22 and 17 respectively. For our 2011 analysis, barrel-aged beers were the most positive mover as well. However, this years tragic drop for Bock beer caused it to shoot up the leaderboard for most negative mover. A good Maibock or Doppelbock are stable beers, but the style seems to be getting the cold shoulder from competition participants in the last half decade. The complete data set for how each beer style category performed is presented below. "In my opinion, most of the great men of the past were only there for the beer"
Poll: What Book To Recommend to Homebrewers?